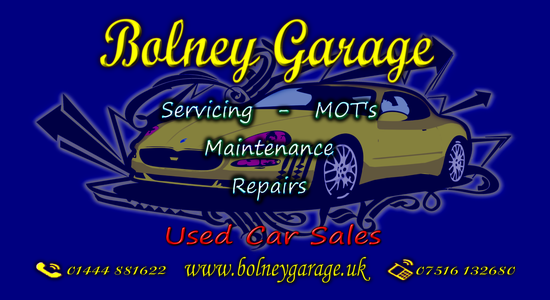 Bolney Garage are a local Family run garage, giving you a professional yet traditional service, for Vehicle Servicing & Repairs, Diagnostics, Recovery/ Breakdowns, Parts and Car Sales.. We pride ourselves on our customer service experience. Giving you the very best in customer service that only a local Independent garage can. We understand that it it not always possible for our customers to bring their vehicles into our Workshop. Especially those with disabilities. With this in mind, we offer a FREE Local Collection & Delivery Service for all Customers who Live / Work within a 10 mile radius of our workshop this is extended to 15 miles, for all of our mobility challenged Customers.